​Keeping an eye on me fathers shirt. Railway Street Tenements 1914. 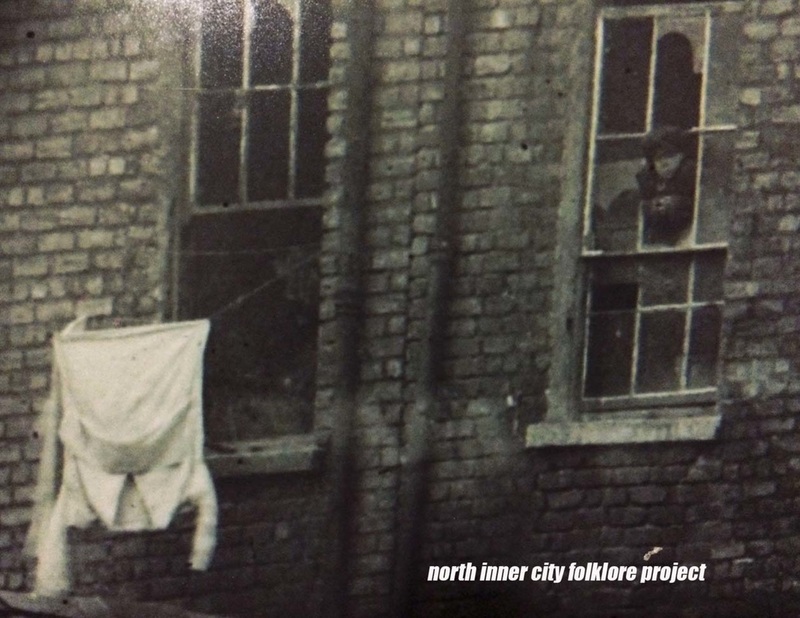 ​1914 Railway Street in the Monto. 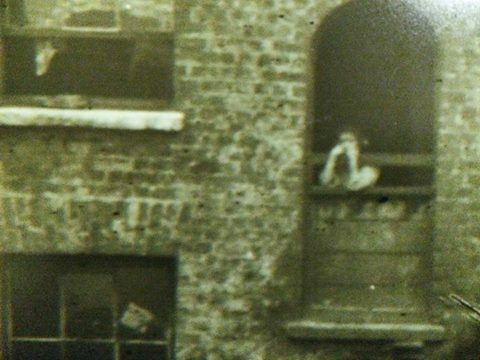 A young girl looks out the window from the stairway of a tenement house.